When people ask me “Why did you move to Paris?” I’ll usually stop, point to the nearest cheese shop or bakery, and let them figure it out for themselves. 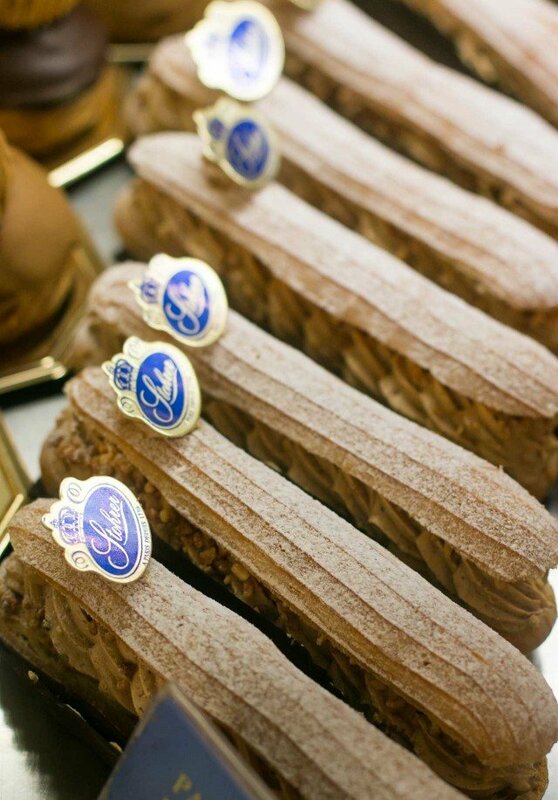 There are a lot of pastry shops in Paris, over a thousand of them. 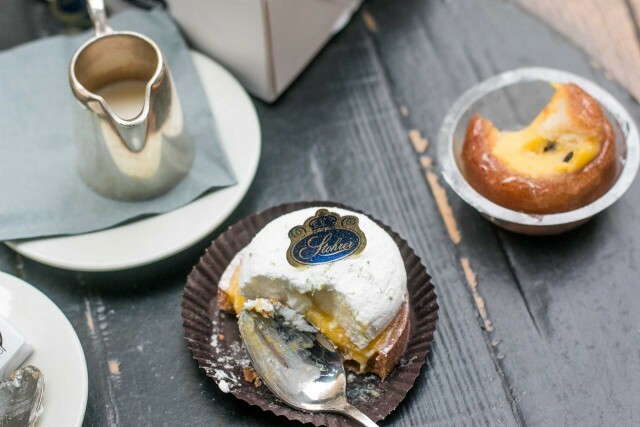 But the first was Stohrer, which opened in 1730 by pastry chef Nicolas Stohrer, the pastry chef for Louis XV of France and his wife, the daughter of the king of Poland. I can only imagine what the shop looked like back then, but I’m sure it was quite a different place. Today the rue Montorgueil is a thriving, busy pedestrian street, with the occasional motor scooter racing down it, beeping its way through the crowds of shoppers. The street has changed a lot in the last decade or so, since I first walked down it. During the day, there are open air shops selling produce, several excellent cheese shops, a crier (a fish market when the young men in rubber boots call out what fish they are trying to sell that day), bread bakeries, and cafés whose rickety seats spill out onto the streets, which are occupied with early risers getting in their first cup of coffee, to a crowd of hipsters and other locals, drinking beers until late in the evening. For me, it’s not a visit to rue Montorgueil without checking out the always-spectacular windows at Stohrer. I love looking at the pastries, of course, although the window for the traiteur items (take out) is equally spectacular, with salads served from large porcelain bowls, œufs en gelée, Bouchées à la Reine puff pastries with rich cream sauce spilling out, gratins, and some very impressive savory tourtes sold by the wedge. Inside the shop, underneath the intricately painted and gilded ceiling painted by Paul Baudry (who also decorated the Paris Garnier opera house), it’s hard to stand and gawk because you’ll be dodging locals, popping in to pick up a treat, be it a morning pastry, such as a kugelhof (below), a yeasted cake with raisins and nuts, or a Paris-Brest, fashioned not in the traditional circular shape, but long and slender, like an éclair. I skillfully deflected any wrath by iconoclasts if I had called l my own éclair-like riff on Paris-Brest that same name. So I called mine Paris-Paris, in My Paris Kitchen. Bravely, Stohrer doesn’t seem to mind (maybe because they don’t have a blog), naming their variation of the hazelnut praline-filled choux pastry, which is traditionally round to mimic a bike wheel since the pastry was invented to commemorate a Paris to Brest bike race, the same as the original. 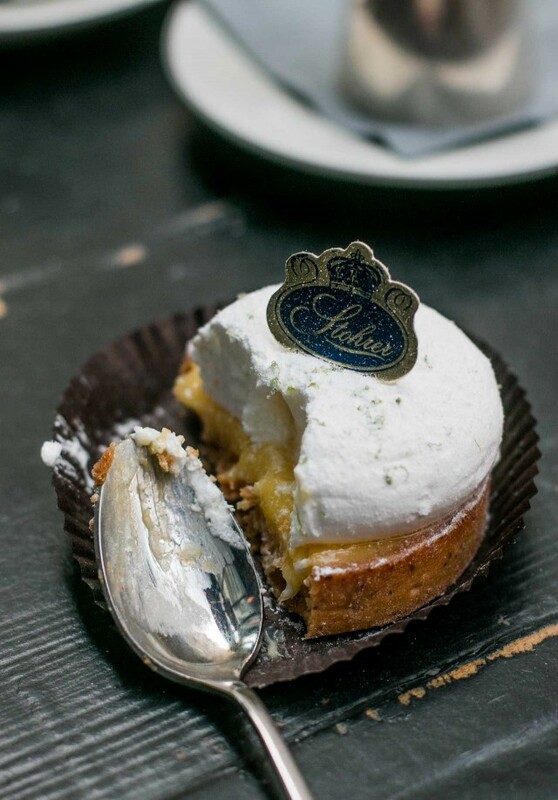 There’s quite a line-up of classic French pastries at Stohrer but the most famous is the Baba au rhum, a yeast pastry soaked in helluva lot of rum, brushed with apricot jam, and garnished with candied cherries and angelica. The story on their website goes that Chef Stohrer invented this pastry to use up some dry Polish brioche. 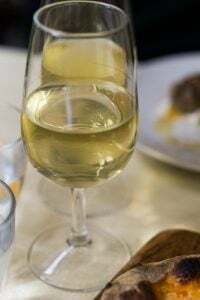 Other versions credit a Polish kitchen assistant with being the one to soak bread in sweet wine to make it a dessert. Since I wasn’t there, I can’t say for sure. But I do know if you’re going to get one in Paris, this is the place to get what is (most likely) the original. 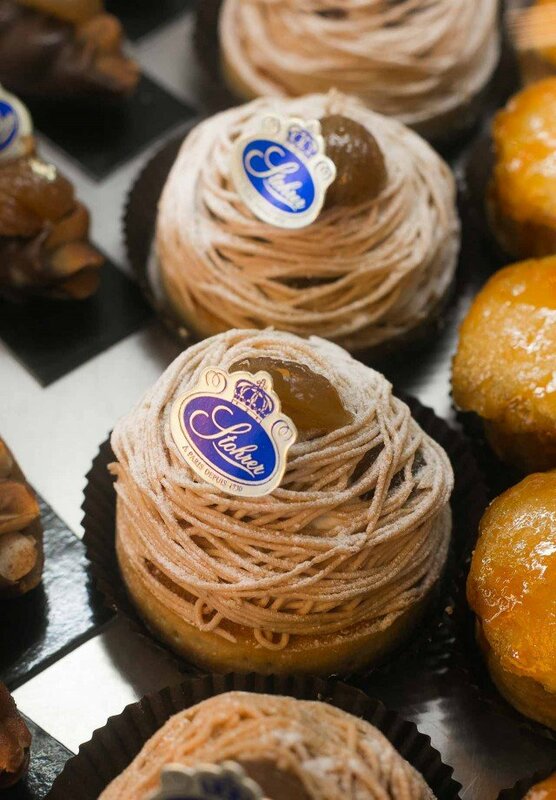 Other pastries include Mont-Blanc (below), a spaghetti-like mound of chestnut cream topped with a candied chestnut. Every winter holiday season, people write to me, asking how to candy chestnuts like these. The process to making marrons glacés is pretty challenging, especially if you hope to get a bunch of entier (whole) ones after all that simmering and cooking over the course of several days. Which explains their hefty price tag, often selling for as much as €4 a pop. So it’s no wonder people want to make their own! 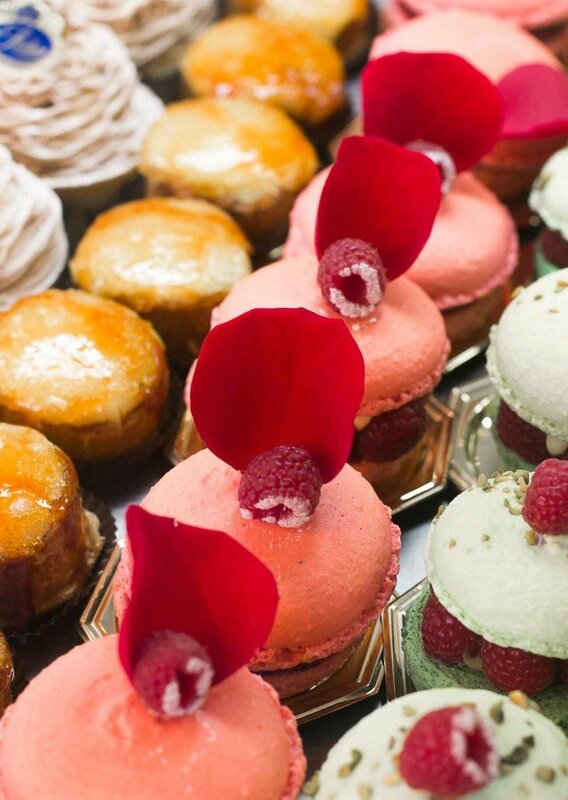 Roses are popular in Paris pastries, many crediting Pierre Hermé for starting the trend with his Ispahan, a mélange of rose, lychee and raspberry flavors. Rose-flavored desserts are not my favorite – I’m a chocolate, or lemon, guy – but I can certainly appreciate the beauty that goes into making macarons that riff off those flavors. 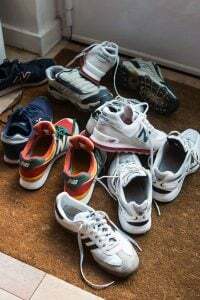 When I was heading out the door to go over there recently, I ran into a neighbor and after a brief chat because I was in a hurry, he asked where I was going. “Stohrer,” I said. He said, “Oh, they have the best tarte du citron. I love them!” So I was extra-anxious to hoof it over there. And sure enough, the lemon tart was excellent. 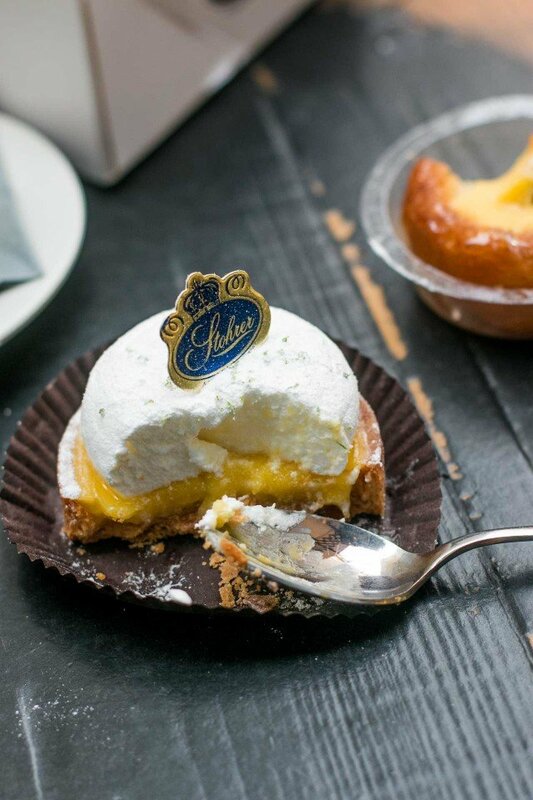 Some in Paris can land on the sweet side, but I like lemon tarts that lean more toward tart and tangy, with just a touch of sugar to balance the juicy acidity of the lemons. A plouf of whipped cream or meringue on top never hurts either. Being a good neighbor, as thanks for the tip, he got a little gift box upon my return. 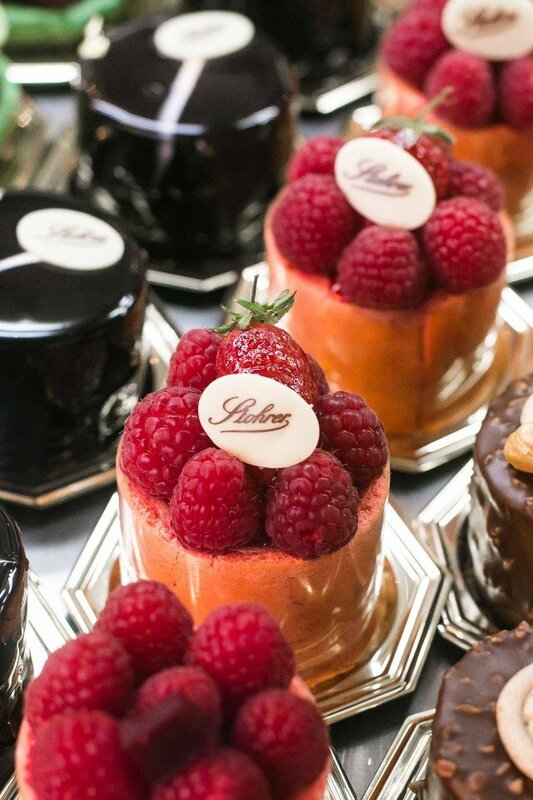 Unlike some of the other bakeries and pastry shops in Paris, Stohrer hasn’t expanded to Las Vegas, New York, or Tokyo, although they do have a rack outside holding the famous postcards depicting their line-up of classic pastries, they don’t have a line of baba-scented candles or teas being sold as souvenirs. (And personally, I’d prefer to have a lemon tart or chocolate éclair as a gift, rather than a key chain.) In spite of their fancy pastries and decor, they are still a neighborhood bakery, selling baguettes, cakes, chocolates, and even meals, to the constant stream of regulars and visitors who come into this historic pastry shop seven days a week. Stohrer was my “local” when I lived in Paris and I make sure to go there each time I come back to visit. Had no idea what a magical place it was when I first moved into the hood but soon learned. Still one of my favourites. 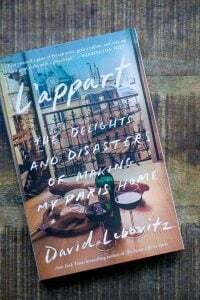 This made me feel just like being transported onto the streets of Paris again, gazing longingly at all the pastries in the display windows of neighbourhood bakeries and patisseries. Thanks for the evocative post! Oh goodness! The one with the figs just about made me lightheaded!! This is my favorite store to stand outside and drool, making my mind up before I enter. Usually takes 15-20 minutes. What is that wonderful looking little item to the right in the last picture of the lemon tart? 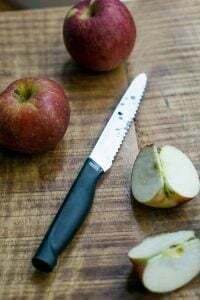 I was having an apple and cheddar cheese for breakfast. Now I’m counting the minutes until I’m back in Paris in May and can jet over to Stohrer’s for a fix! Thanks!! The beautiful fig pastry caught me eye, too! I can only imagine how good that must taste. Oh, how I miss Paris when I read something like this. Thanks to your previous post about Rue Montogeuil some year ago, we took an apartment a deux pas from Stohrer when we spent two weeks in Paris. We went there daily and got through quite a selection of pastries. I also really enjoyed the tarte au citron. A pastry called Opera was lovely too. It was Easter and the chocolate selection was astonishing. Thanks for the memories and your beautiful photos. How in the world have I missed this in the past? I will make up for this omission by visiting Stoher each day I’m back in Feb. It’s good I will be walking the Camino de Santiago in between stays in Paris! Swooning and trying to chomp on the screen! Would love to try their Baba au Rhum!! Thanks for the gorgeous pics and delicious descriptions. Would love to see a pic of the painted ceilings! 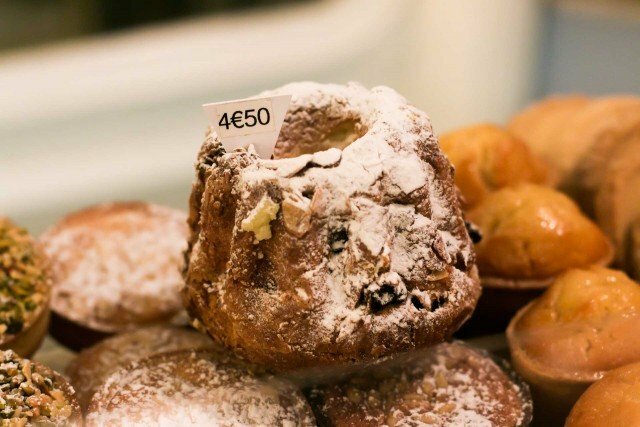 This pastry shop looks to die for – I wish that we had shops like that in the states! We have a few….in nyc. But, sigh, we don’t have the atmosphere that is Paris! Thanks for the visit to Paris on this dull day in January. Thanks! Love the photo of the half-eaten lemon tartlet. I strolled down rue Montorgueil (in the rain) on a Paris Walks walking tour a few years ago and headed straight back there when the tour ended. Yum!! Not far away is Dehillerin, where Julia Child bought kitchenware. Fabulous. Madeleines, Puis D’amour, Tarte Bourdaloue (Pear and custard), Chiboust and as you said all the savory stuff… They have a red snapper and apple quiche that is surprising and tasty. I can barely contain myself. I need to finish that half eaten chocolate pastry…and then start on the lemon tart – or vise versa! 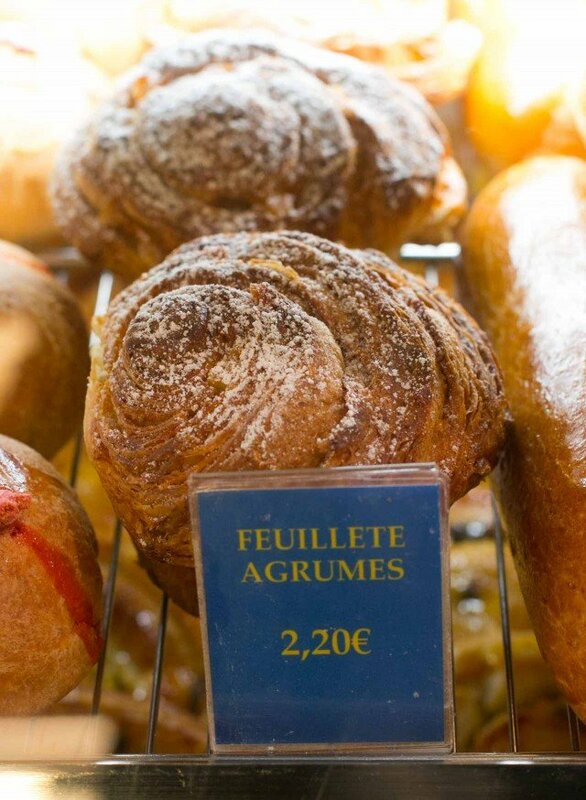 Hands down my fave pastry shop in Paris for all the reasons you detailed in your excellent post. The people who serve there are as generous in heart and kindness as their confections are sweet and soul satisfying. 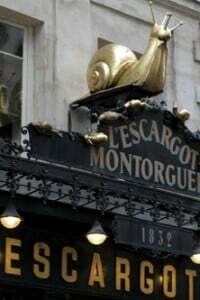 I will say this their savoury treats are some of the best I have had…coquilles St.Jacques, escargot de Bourgogne come to mind immediately…BUT…you must go back and try their mini boudin noir. Hands down best I have ever had and I wish, yearn to know how they make them. 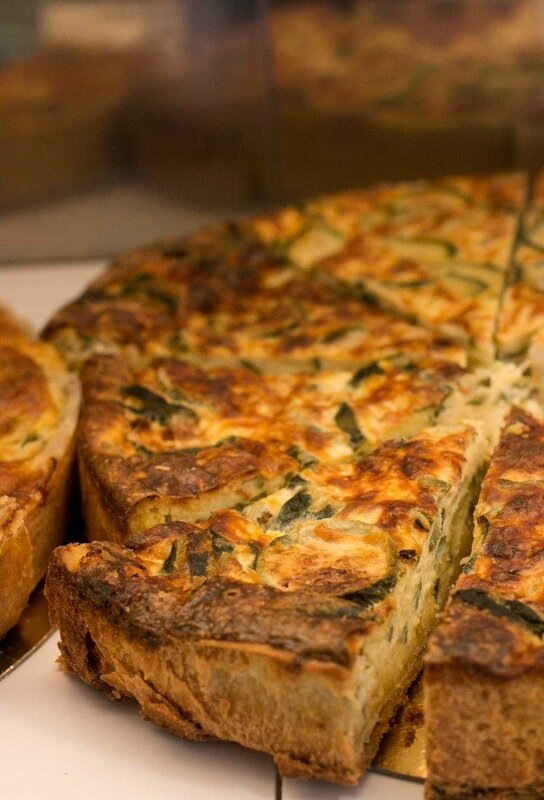 Firm but soft, seasoned perfectly, garlicky in in an understated soul warming way! Perfect date food, special occasion or personal indulgence. Please do try them and if you have time…I know you’re busy…let me know what you think. I’ve been lucky to be able to visit Paris twice because of the Paris-Brest-Paris cycling event that my boyfriend has taken part in, in 2011 and 2015. It happens every four years in mid-August, with riders from around the world coming to cycle 1200 km within 90 hours, from outside of Paris now (St. Quentin en Yvelines, site of the national velodrome) to Brest and back. It’s part of the randonneuring (amateur long-distance cycling) tradition that began in Europe around the turn of the last century. People in all the towns and villages the riders pass through set up refreshment tables on the streets to support and cheer them, day and night. It’s a most wonderful way to experience the hospitality and friendliness of people in another country, in addition to the camaraderie of the other riders. My treat is to wander Paris while all of that is happening. I didn’t find my way to Stohrer, and perhaps it closes for August, but Pierre Hermé was delightful, and Poilâne a pilgrimage, as were many other places to refresh body and spirit, often found with the help of your My Paris tips – thank you! Your blog lets me feel still connected to this city. Totally enjoy your blog and have all your books. Someday….I sure wish you would share the process of baking a heavy meringue over a cake layer or tart. I understand browning a light meringue over a pie. I mean a heavy meringue layer baked over a cake layer. The lemon tarts look super delicious. Would one bake meringue rounds and place on tart? The meringues look marshmallowy and heavy. Any clues? Can you wheedle and share one recipe from each of the tantalizing eateries you visit and write about?! That would be nice but one problem is that a lot of places (for obvious reasons) don’t want to share recipes, because they want to hold onto them because they keep them in business. But another is that bakeries like this would have a recipe that makes, say, 200 tartlets, and paring it down to make, say 4, is a real challenge. It’s not just a question of dividing the ingredients, but figuring out how they work. And French products behave differently than American or British products, so that has to be taken into account as well. Then the recipe needs to be thoroughly tested, because I don’t like putting recipes on the site that people are going to have problems with. Nonetheless, Dorie Greenspan’s “Paris Sweets” is a compendium of recipes from great Parisian bakeries. She has a Stohrer recipe in it, a Chocolate-Thyme Cake. Those figs!!!!! I am wiping drool off the keyboard! favorite. I try to go twice for them when I’m in Paris. 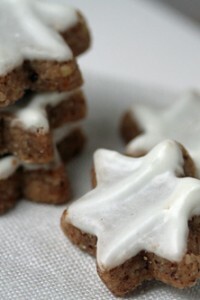 Love your Blog….Wish we could have recipes ..or even one recipe… for such beautiful bakery sweets. Makes one’s mouth water just to look at them. You are certainly very lucky to be living in Paris. Stohrer sells a book with History and some recipes. There is an English version. Many thanks. Will check this out. Thanks to your fabulous pastry app, I visited here 2 years ago. Reading this post took me right back to that time! My business partner went to school in Paris (and later lived in Cannes), and says that the French used to deny they ate pastries. It was all “Oh, those are for the children.” Yeah, right! I doubt there are many kids snacking on those rum babas:). I see what you mean about the ceiling, David – and the chandeliers are just as beautiful in the shop. As you say, all the pastries are just incredible and I love how their Galette des Rois this year is just a good old classic of Frangipane and nothing fancy shmancy. What always cracks me up are the postcards outside of the Queen shopping at Stohrer. I wonder if it’s just for the British tourists? In any case, it’s such an impressive address – each time I pop into a Paris patisserie, I often wonder if we would bump into each other, but then one of us would probably be looking at the ceiling! :-D Happy delicious New Year to you. If you like to get cheap, good marrons glacés, it’s worth taking a trip to a chestnut jam factory in Ardèche, they sell broken ones very cheaply. Makes me hungry just thinking about the lemon tarts. Rue Montorgueil is definitely my favorite food street in Paris and I do hope to get back there some day. 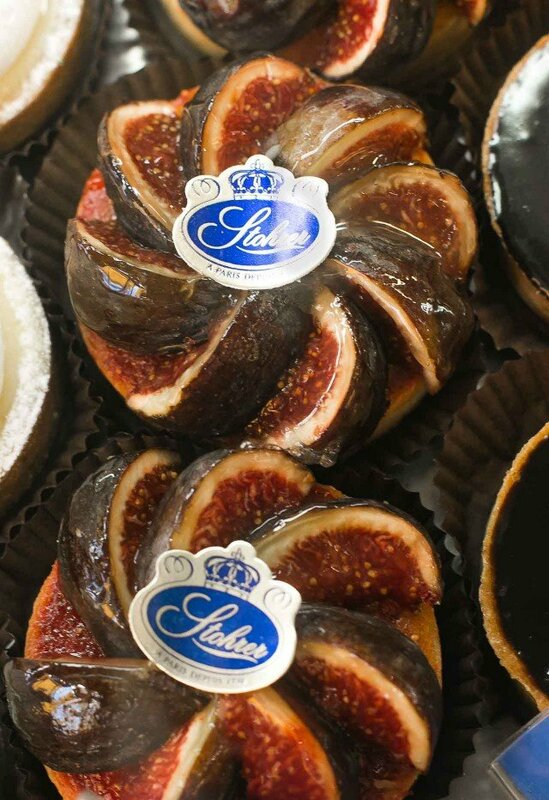 Thanks for the beautiful blog post of Stroher’s. I didn’t discover Stroher’s until my third visit to Paris and I went many times during that visit. The food is amazing and the actual store is eye candy. Stroher’s is one of the many things that makes Paris Paris. Thanks again for posting such a beautiful blog post and brightening a January day. That chocolate eclair in the last photo looks so good…much drier looking than I see in the US, for the better! I think I have added 5 virtual pounds just gazing at these pics! Just back from a wonderful trip to Paris and Burgundy. Made it home with lots of goodies, including a jar of Airelles Savages. What is a good way to use these? 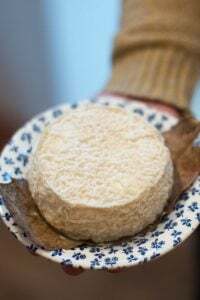 Oooh, I just loved rue Montorgueil when I was there… and yes David, those cheese guys- I offered to bring them home, but they didn’t want to come with the cheese! 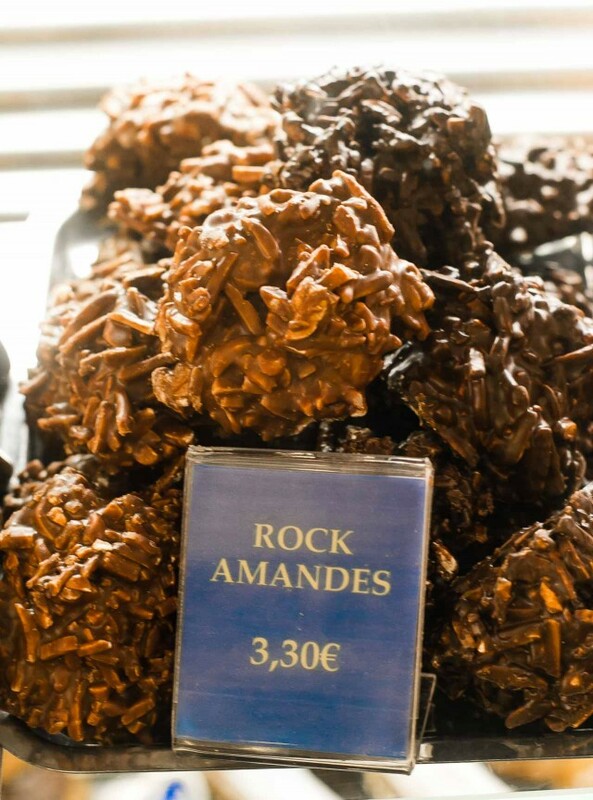 Finally a recipe for Marrons glace! I don’t begrudge paying the money, it’s just very hard to get hold them in the UK for baking. 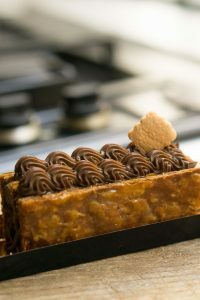 Mont Blanc is on my list of things to make and it HAS to be topped off with a Marrons glace. Rose is actually a favourite flavour of mine and I adore ispahan, so you can have the lemon and choc and I’ll have the rose. Thanks for the Paris Patisserie insight. How, oh how, do you stay so thin? 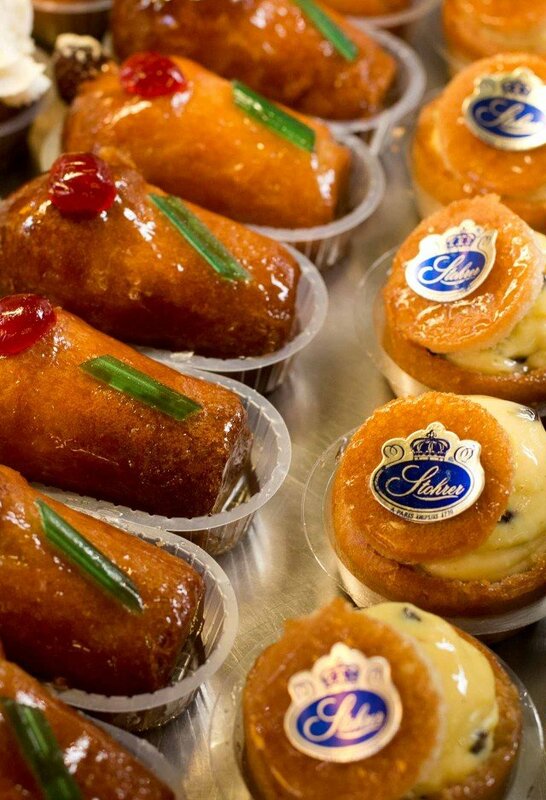 I gave a try to their pastries few weeks ago – the famous baba really disappointed me. The texture was extremely “Spongy”, really thought I was eating a plastic cake!!! 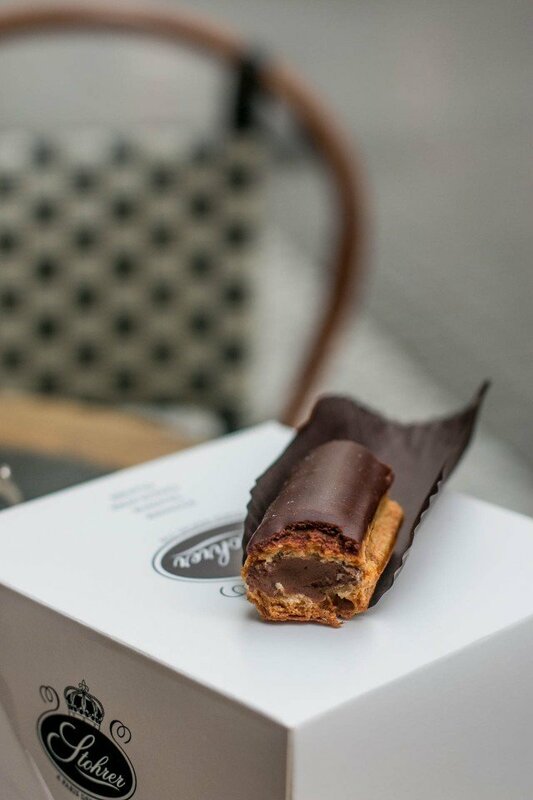 The éclair did not left me an unforgettable souvenir either..
Stohrer is now much more about its historical architecture, not pastries anymore..
Also, Montorgueil now looks like many other commercial streets in Paris: Paul bakeshop, Mariage frere tea shop, a bit overpriced cheesemonger. I am so sad to read your comment. I live in the Montorgueil area, stroll it everyday and share it with my guests. I agree with you that we have to make sure it does not become only a tourist street like the Marais and make sure it stays authentic. But so far, if tourists like this area and are welcome, it is still one of Paris villages. You have real Parisians there, real shops, real life. Stohrer has to offer much more than history and decor: pastries and the catering are still high quality, “homemade” not industrial at all. They want to keep a friendly relationship with their customers. I love Mariages Frères Teas and I am thrilled they opened a shop in rue Montorgueil. Mariages is of high quality. I resent Starbucks, Quick and MacDo, not Mariages! The cheese monger is welcoming; not THE best in Paris but very good, Tribolet butcher, very high quality Terroir d’Avenir rue du Nil for fish, vegetables, and bakery, G. Detou for spices and professional baking, Comptoir de la Gastronomie, all the cooking utensil shops, a cookbook store..; So far Montorgueil is still related to the former “Halles” era and has kept its character. I also always visit Stohrer when in Paris. 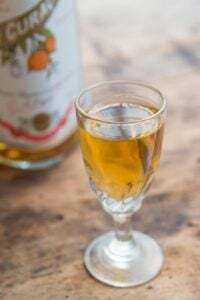 The first time I went, about 10 years ago, I went intentionally to try baba au rhum. This was my Dad’s favourite desert and I could never understand why, so I thought I should go to the source to see what it should really taste like. I thoroughly enjoyed the baba, but was surprised when I hopped on my afterward ‘velib to find I was a bit tipsy! My fav Paris patisserie Forever. It’s such a classic. So visually beautiful. 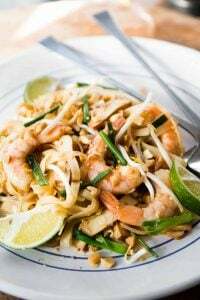 Classic recipes are maintained with no need to be trendy. The savories are every bit as exquisite as the sweets. When I was drawing the map for rue Montorgueil Storher was irresistible. Your photos are simply lush. I want to run over immediately. How did you get them to allow you to take so many pictures? Whenever I try to take a picture, they say “non”. Love eating the pastries even more. I spent about a half an hour talking to them first, before asking…! You’re just so nice, I can tell! When I visited Paris in October 2014, we stayed just a block away from Stohrer. We ended up eating there every single day for breakfast. This post brings a tear to my eye!